Hello Boss family! We write to you this issue with a mix of emotions. It is our annual boss woman issue. This makes the second year and second time we are featuring the female bosses that are out there. 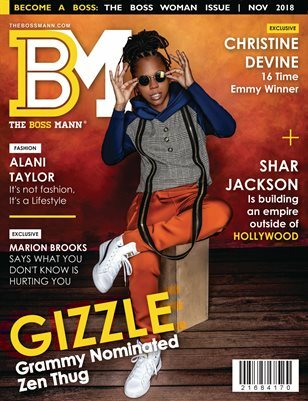 The boss woman issue is always a different energy because working with majority women instead of men comes with its diversity of production elements. An example of this is having to coordinate so many hairstylists and makeup artist. I must say it is a fun time working with more elements and the nurturing energy of women. We have been blessed to work with some of the most amazing women out there. In this issue, we provide you with more incredible women of purpose and strength.